Since TLC first launched its popular reality program Sister Wives, Kody Brown, his four wives—Meri, Janelle, Christine, and Robyn—and their seventeen children have become one of the most famous families in the country. 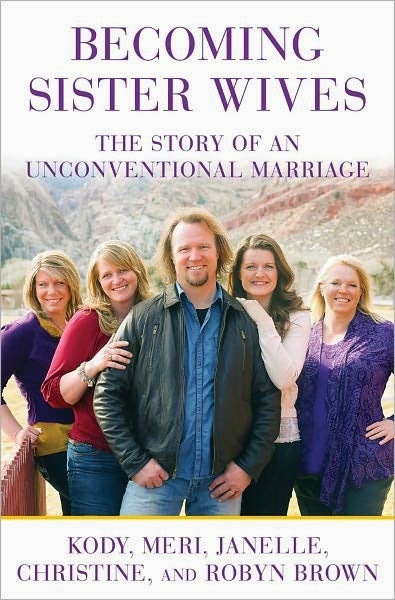 Now, with the candor and frankness that have drawn millions to their show, they reveal exactly how their special relationship works—the love and faith that drew them together, the pluses and pitfalls of having sister wives, and the practical and emotional complications of a lifestyle viewed by many with distrust, prejudice, even fear. How do the four relationships differ? What effect does a polygamous upbringing have on their children? What are the challenges—emotional, social, or financial—involved in living this lifestyle? Is it possible for all four sister wives to feel special when sharing a husband? How has being on camera changed their lives? And what is it like to add a new wife to the family—or to be that new wife? Filled with humor, warmth, surprising insights, and remarkable honesty, theirs is a love story at heart, unconventional but immediately recognizable in the daily moments of trust, acceptance, forgiveness, passion, and commitment that go into making one big, happy, extraordinary family.